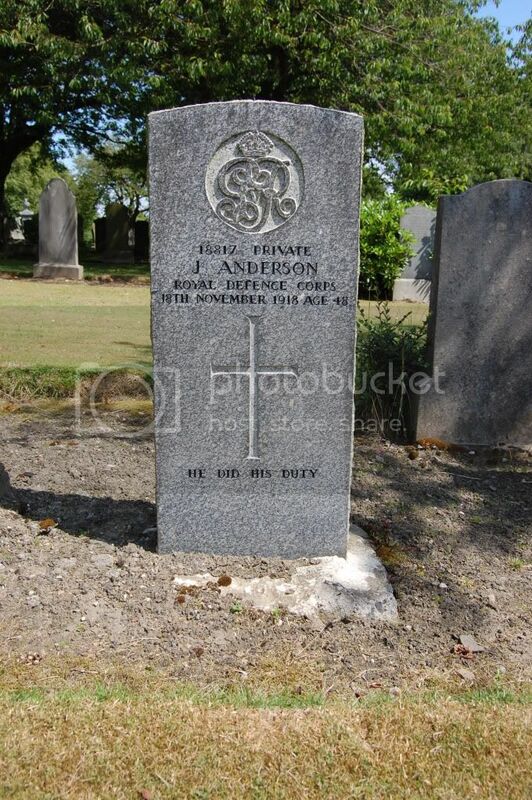 I am going to try to download one of the many photo's I have of Dunfermline Cemetery War Graves. I do not have a website my photo's are all on my PC. Can I do this? Best thing to do is sign for a free photobucket account. Then you can upload your photos to your album there. There should be a link under each photo that you can copy and paste into the message body here. It automatically resizes your pics as well which is handy. I have opened an account with Photobucket and downloaded a picture but cannot find a place to copy and paste. Sorry you are talking to someone who is not good with PC stuff. Also How to I start a topic i.e. Dunfermline Cemetery? Presume its just the title of the email. I use Webshots and Picaso for my photo's, could I use these sites. You should check the Fife section first to make sure that the cemetery you took photos in has not been started here already. If it hasn't then just start a new thread in the Fife section using the name Fife Council use for the cemetery. Put location details in your first post and then start posting the CWGC headstones alphabetically. Once they are complete then start adding the other headstones. Don't worry about making any mistakes, there are plenty of forum moderators on hand to sort it out for you until you get the hang of it. I looked for IMG Tags on Photobucket but could not find it, though did find this below. Is this what I am looking for. Oh I find PC things so hard. Think I have answered my own question. Will plug away at this over the summer, wet rainy days as I took a lot of photo's. Hi Frances, as Adam says, plenty of people around to help. The photo you posted is very small, try for 800 X 600 size. In photobucket, below each picture there are four links, the last one (IMG CODE) is the one you want, copy that and paste it into your mail (don't use the URL button). but without the question marks. I had to put those in so you could see the code and not the photo. I hope this one looks ok. I am practising on this forum before I try the real thing. Thanks for all your help, fingers crossed. Can someone please tell me if this picture looks ok and can I post it and more closes ups on the Civiliam memorial? Son of Kenneth and Catherine Cameron, of Cameron Buildings, Shieldaig, Lochcarron.